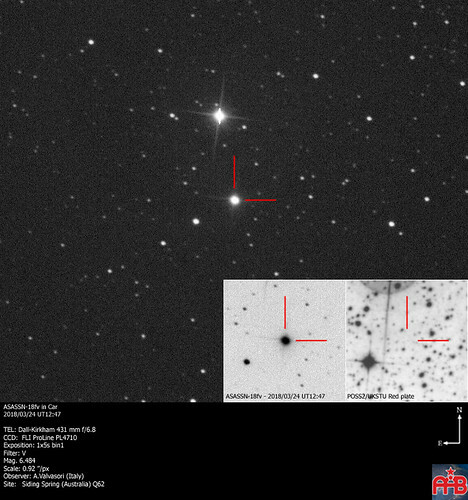 Following the posting on the ATel #11454 about the discovery by All Sky Automated Survey for SuperNovae survey (ASAS-SN) of a new transient source, possibly a classical nova, near the Galactic plane in Carina (ASAS-SN Designation: ASASSN-18fv). On images taken on 2018/03/24 UT12:47 I can confirm the presence of an optical counterpart with V-filtered CCD magnitude 6.484. 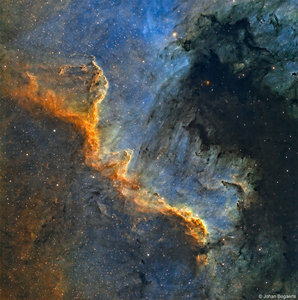 Below you can see my confirmation image (single 5-sec exposure through a 0.43-m f/6.8 astrograph + CCD).